Ubisoft's The Division series was designed to be graphically ambitious from the outset, with the game's initial demos igniting "downgrade" controversies when the original game released in 2016; after the game failed to meet the graphical expectations that were set during the game's E3 2013 reveal. To shorten a long and complicated story, Ubisoft expected to get a lot more out of today's console hardware, with the early performance problems of Assassin's Creed: Unity, and "downgrade" allegations against both Watch Dogs and The Division showcasing the publisher's belief that both the PS4 and Xbox One offered a lot more untapped potential. Since then, Ubisoft has worked hard to change their image, with the reveals of more recent games like Far Cry 5, Assassin's Creed Odyssey/Origins and Watch Dogs 2 giving players a look at real-world builds of each respective game, showcasing near-final versions of each title. No longer would Ubisoft showcase games 2+ years before launch; instead opting to reveal games within a year of their launch with graphically representative footage. 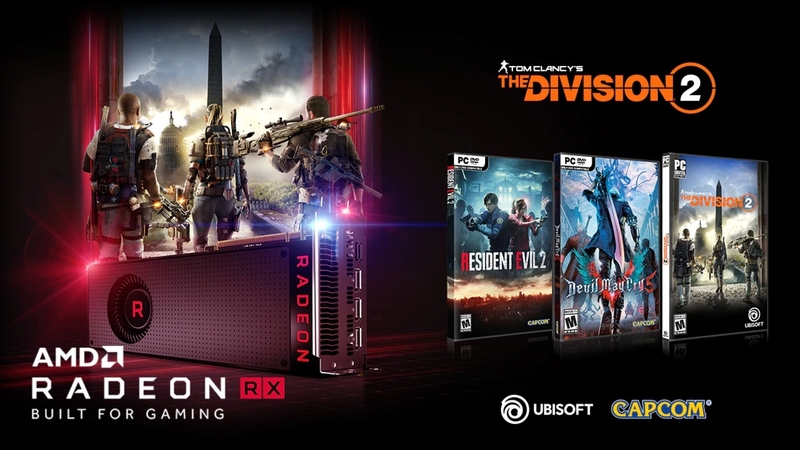 As we move into The Division 2, Ubisoft has upgraded their SnowDrop engine with the help of AMD, enabling increased multi-threading of the game engine, increased GPU utilisation through asynchronous compute and support for advanced Radeon features like FreeSync 2 HDR. Massive Entertainment, the developer behind the Division 2, has a long history on PC; with the studio being well known for the Ground Control series as well as World in Conflict. With these roots in mind, we can see what the PC version of The Division 2 advertised advanced PC optimisations, delivering multi-monitor support, graphical effects which extend beyond the game's console version and expected PC features like an unlocked framerate and rebindable controls. In this PC performance analysis, we will be looking at The Division 2's PC performance over 14 graphics cards, two APIs (DirectX 11 and DirectX 12) and eight CPU configurations. This will allow us to judge how well the game runs on the PC platform and advise PC gamers on what graphical settings they should use and what framerates should be targetted on their systems. At the time of writing, AMD's Raise the Game Fully Loaded Bundle allows purchasers of new Radeon graphics cards, including the RX 570, RX 580, RX 590, RX Vega 56, RX Vega 64 and the Radeon VII, to receive free copies of Resident Evil 2, Devil May Cry 5 and The Division 2. Purchasers of the RX 570 and RX 580 will receive two of these three games, while purchasers of RX 590 or higher-end models will receive all three titles. For full disclosure, AMD provided us with a single copy of The Division 2 for testing purposes. OC3D purchased a copy of The Division 2 for our chief game tester, while AMD's copy was used at our main office to add additional graphics cards to our performance review using a secondary system with matching specifications. This enabled us to add AMD's Radeon VII and Radeon RX Vega 64 to our testing lineup. For balance, we also added Nvidia's GTX 1080 Ti, RTX 2070 and RTX 2080 to our graphics card test suite.